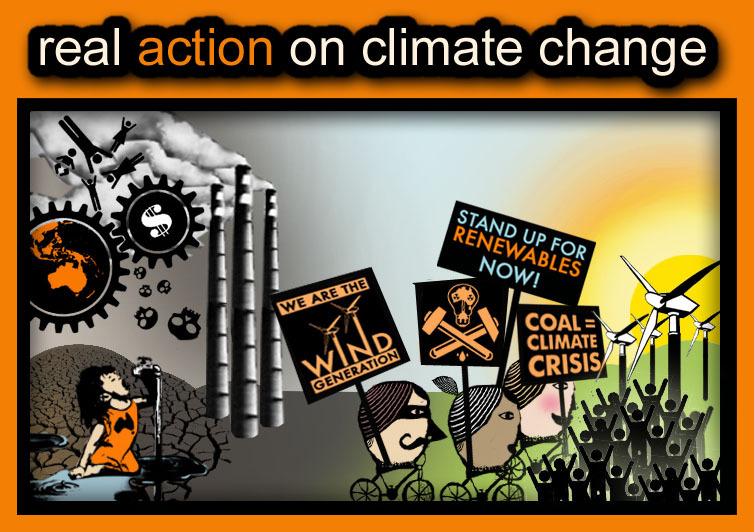 real action on climate change: Background: What is APEC and why do we protest it? Background: What is APEC and why do we protest it? APEC, the Asia-Pacific Economic Cooperation, is a group of 21 “economies” whose leaders meet annually to decide trade and business policies throughout the Pacific region. These 21 “economies” correspond to 20 countries, Australia, Brunei Darussalam, Canada, Chile, China, Indonesia, Japan, Korea, Malaysia, Mexico, New Zealand, Papua New Guinea, Peru, Philippines, Russia, Singapore, Chinese Taipei, Thailand, United States and Viet Nam, and to Hong Kong, China. APEC, seemingly different, in pursuing a regional agreement on economic policies and slightly different structures and mechanisms, is just another institution of global corporate capitalism, like the International Monetary Fund, the World Bank and the World Trade Organisation. It promotes trade and business policies that increase the profits of corporations by: restricting workers’ and environmental protection laws that interfere with profit; privatising basic services such as water and transport; and dismantling trade policies that protect local economies. The results are (to name but a few) the exploitation of workers, environmental destruction, and poverty. APEC policies are determined by regular meetings between the ministers of trade and foreign affairs of each economy, by annual meetings of a Business Advisory Council whose members consist of “business people” that advise the ministers, and by an annual meeting of the “leaders” of each member economy. These are the presidents, prime ministers and chief executives of each member country (and of Hong Kong). In this sense, APEC is an illegitimate decision making body on issues that directly affect people and their every day life, such as salaries, working conditions, security in their industry, price and quality of basic consumer goods, and the list goes on. APEC policies, then, are not determined by the millions of people affected by them but rather by a few hundred politicians and business people. It is a forum in which decision-making power is concentrated and centralised amongst an elite few. The result has been that the concerns and values of the non-elite (community cohesion, quality of life, environmental diversity and sustainability, economic autonomy) are silenced. APEC exists only with the support of the governments of its members and the support of the corporations whose interests it represents. These are APEC’s “stakeholders”, and they pay millions of dollars each year to ensure that APEC functions. Much of this money is spent on silencing the protests of the very people whom APEC claims to represent. For the upcoming APEC meeting in Sydney from 2-10 September, the Australian government will spend between $170 million and $300 million on ‘security’; including a water cannon to shoot at protesters, the construction of a three-metre high, five-kilometre long fence in Sydney's CBD, and the placement of 3,000 officers and another 1,500 Australian Defence Personnel on duty at the meeting. These extravagant measures are being taken to protect the power of politicians and business people to decide the future of us all, or said otherwise, to protect the interests of capitalists and ensure their profits.